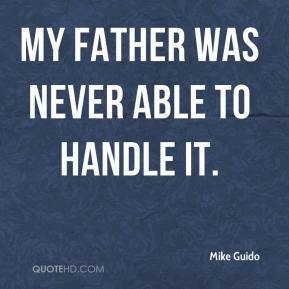 My father was never able to handle it. 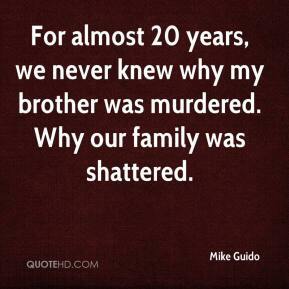 For almost 20 years, we never knew why my brother was murdered. Why our family was shattered. He was five feet away, eating with his wife and daughter, his family intact. I had to restrain myself. I'd do anything to be able sit down and have a meal with my family. 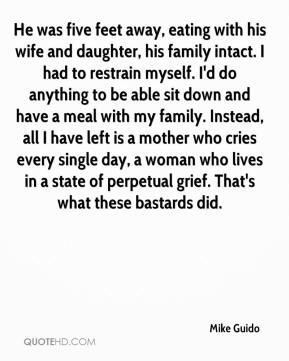 Instead, all I have left is a mother who cries every single day, a woman who lives in a state of perpetual grief. That's what these bastards did.